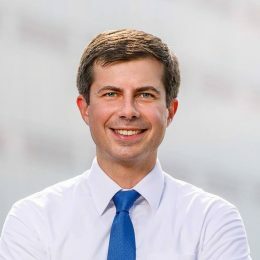 On January 23rd 2019 South Bend’s mayor, Pete Buttigieg (37), announced the formation of a committee to investigate a presidential campaign. He is an Oxford Rhodes Scholar, Afghanistan war veteran and lieutenant in the United States Navy Reserves. By the end of the first quarter of 2019, the campaign had raised more than $7 million. Democratic presidential candidates Pete Buttigieg and Elizabeth Warren both drew crowds Saturday as they held events across New Hampshire. ... race and South Bend, Indiana, Mayor Pete Buttigieg wouldn't say whether they'd press the Justice Department to reopen investigations into Trump.